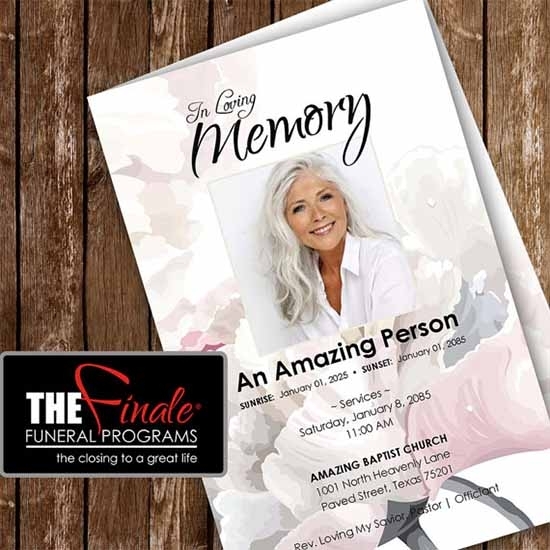 This kind of a funeral program invitation template is suitable for remembering the one who was loveable and adorable to many. 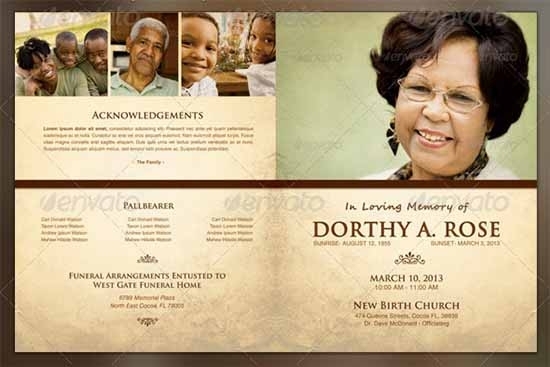 This template comes in an Adobe Indesign, Adobe Photoshop and Microsoft publisher version which gives the comfy of using and editing to the event manager. 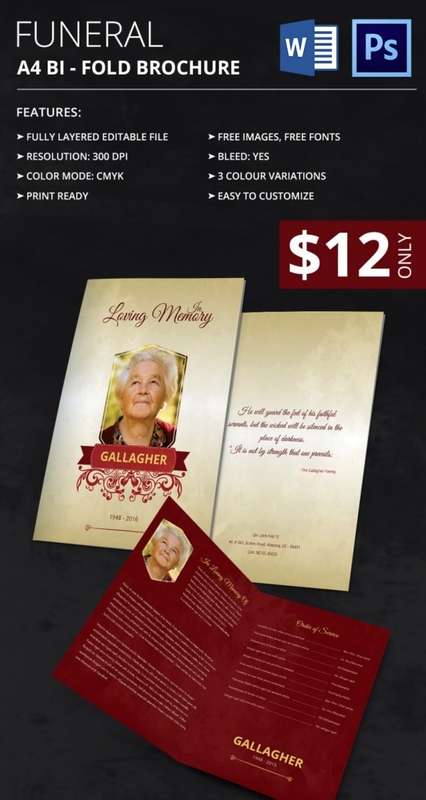 The catholic template is a leaflet kind of invitation that bears the dates of both birth and death of the dead person. 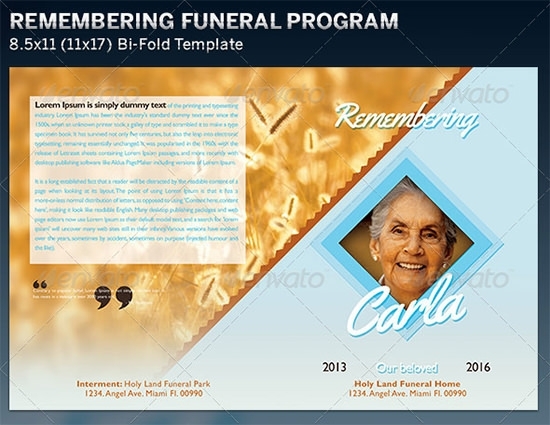 The names of the surviving family members and professional details of the dead person are also mentioned in the template. 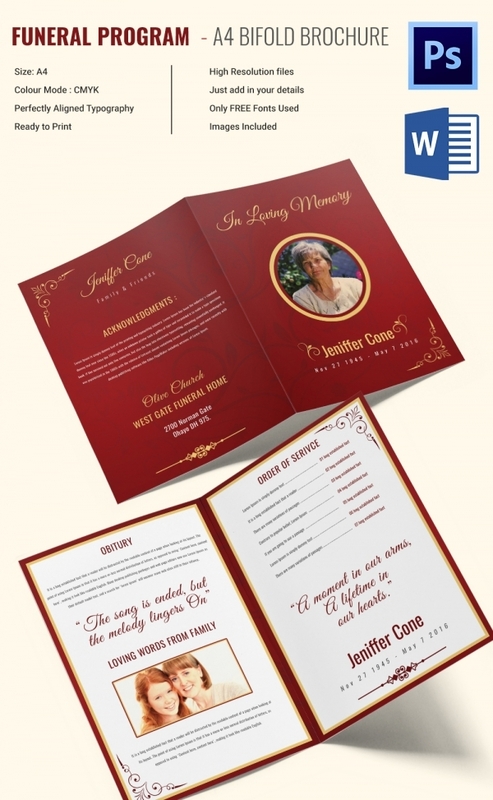 This template comes in editable PDF format for the customer convenience. 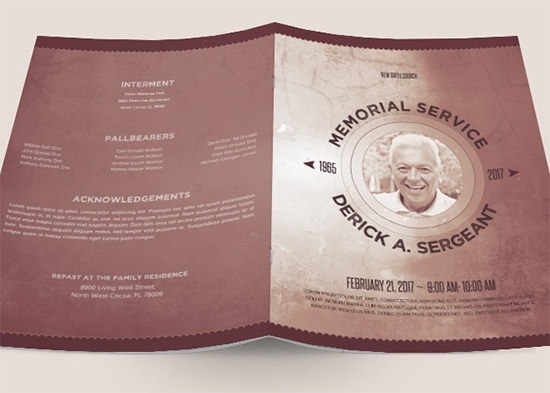 Such a funeral program template gives a soothing sense with its design and layout of cool blue and subtle brown color. 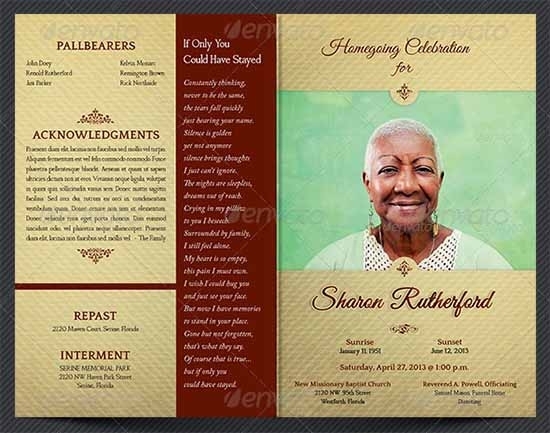 This template comes with a 10 fold copy providing plenty of space to customize the design of the invitation. 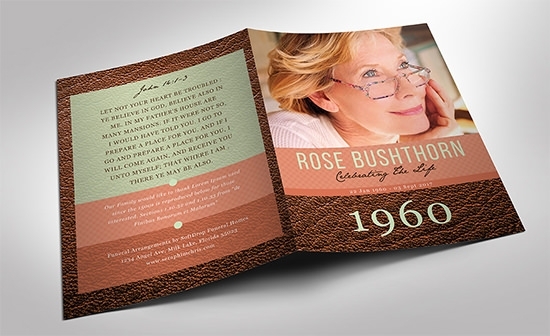 You may design this template with photos, quotes, poems and more in a very reasonable price. 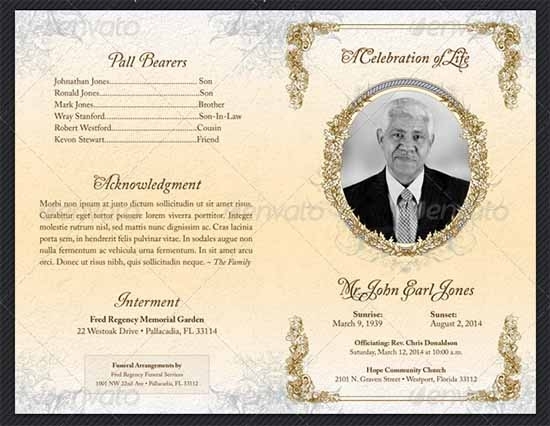 This kind of template is a must have for an event planner or if you are planning a memorial service for the event of a funeral. 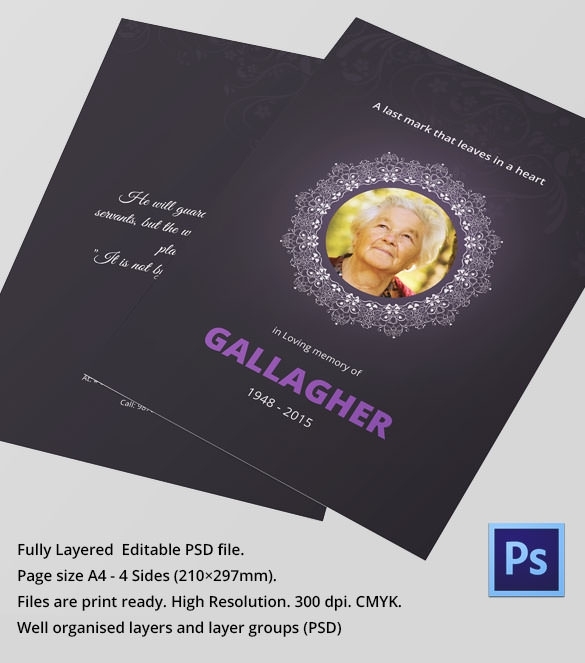 This has 4 Photoshop files all editable. 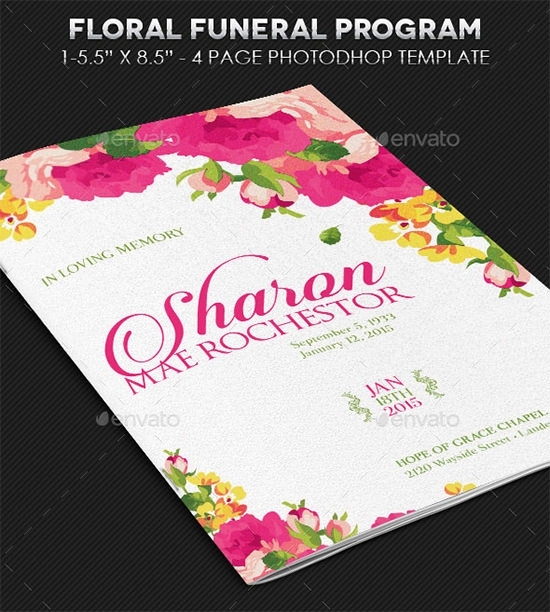 Also includes editable graphics and colours this template is easy to customize. 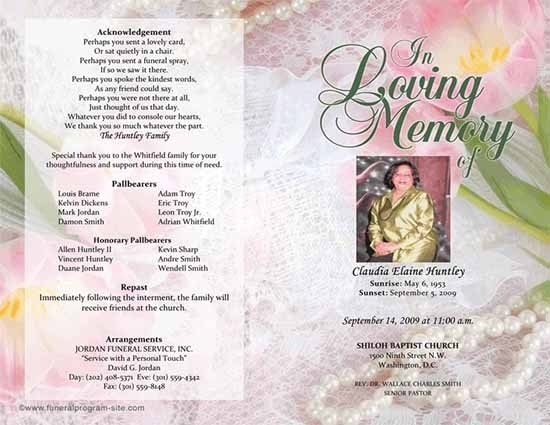 Arranging an event for the one who is no more with us has become a somewhat challenging job. 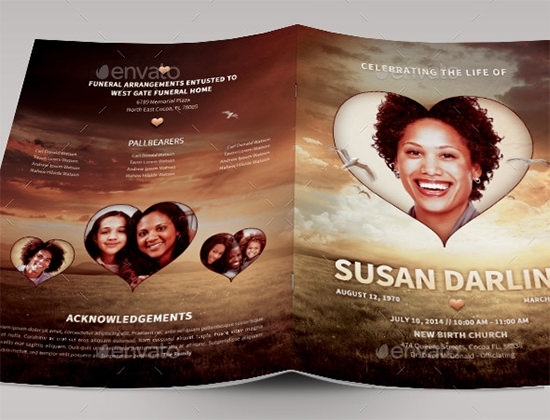 This has also been made easy with templates like this Bi-Fold one which is almost ready to use with a few customization. 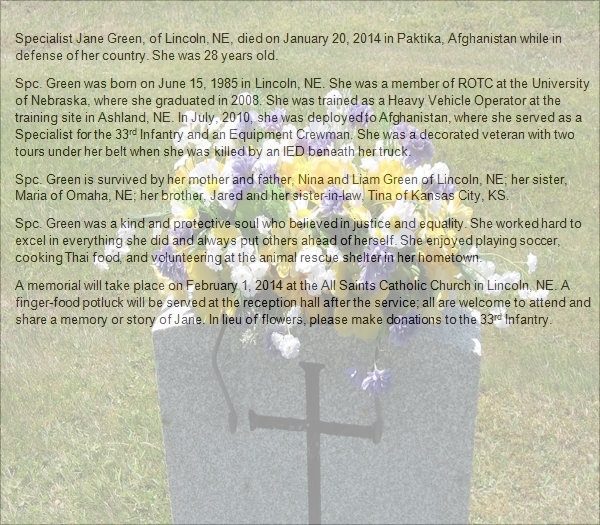 A very sober and decent formatted template provides enough space for photos, hymns and a blessing. 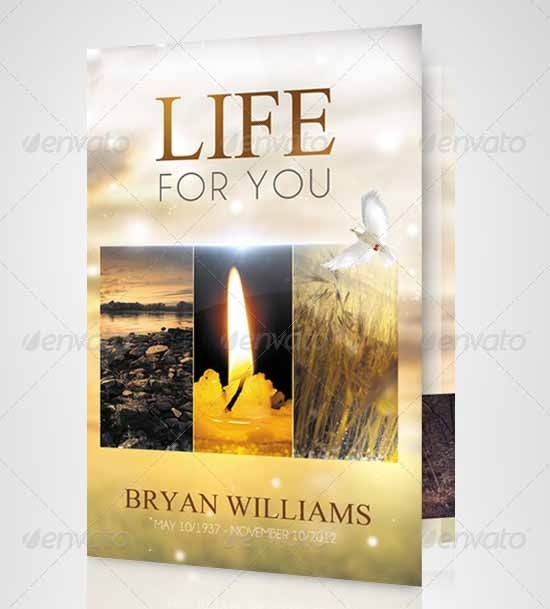 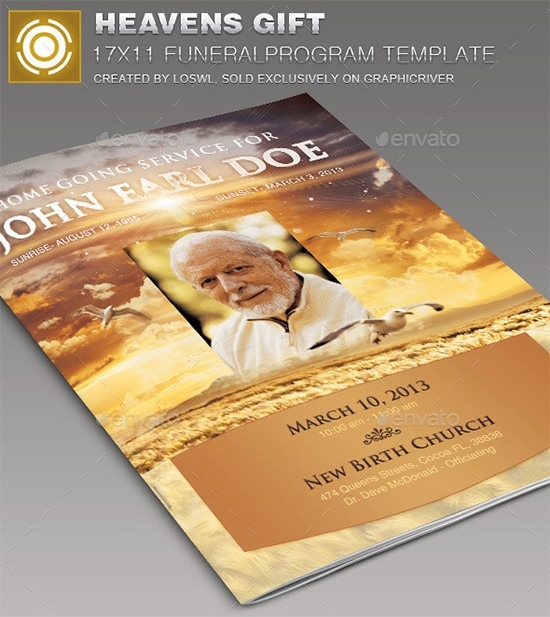 This template is great choice for arranging a funeral program and its invitation. 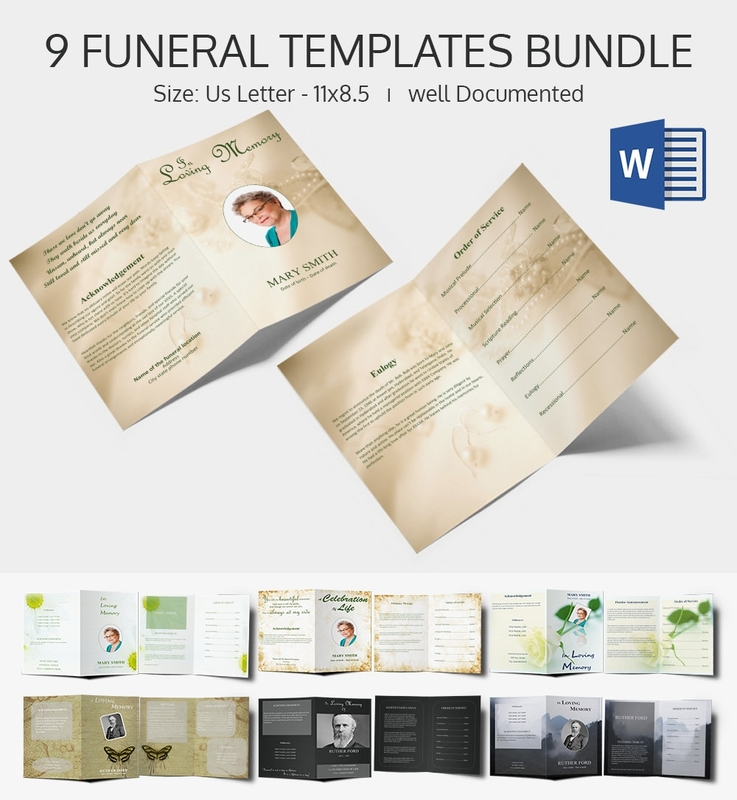 You will save time with this template as it’s really easy to download and prepare according to your needs. 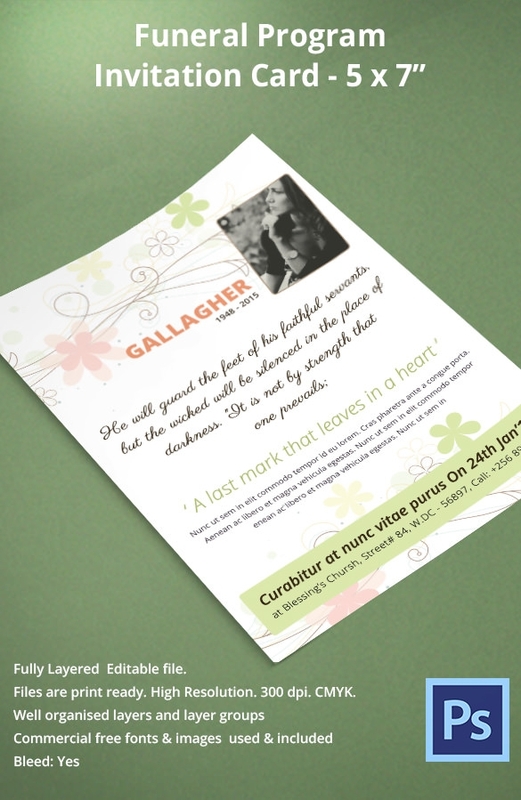 The colour choice and the font selection of the template make it more elegant and impressive for the occasion. 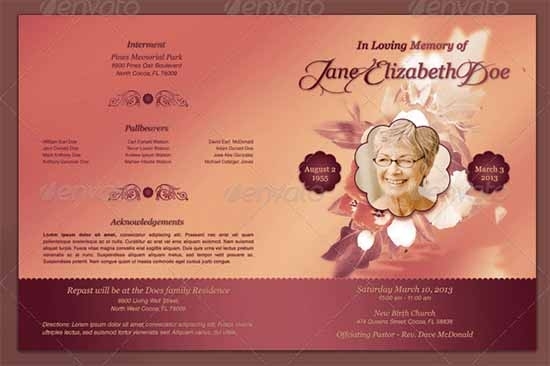 If you are in search of a ready to use template, this kind of a template is your right choice for invitation. 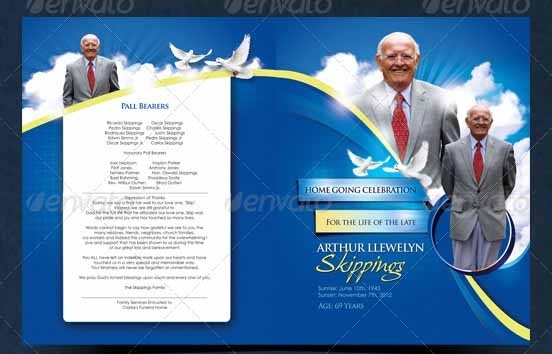 This is a ready to download and print template which gives you the full freedom to just paste the photo of the dead person and the few necessary details and it’s ready for printing. 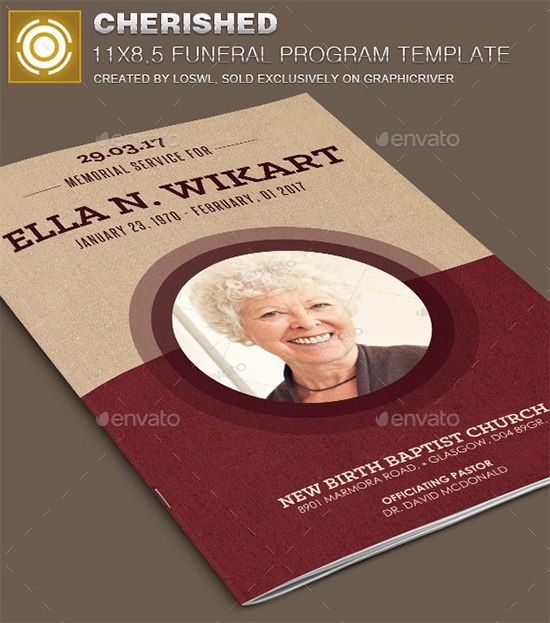 This funeral program template marks the unique of its kind with a delicate selection of colour that suits best on the leather background. 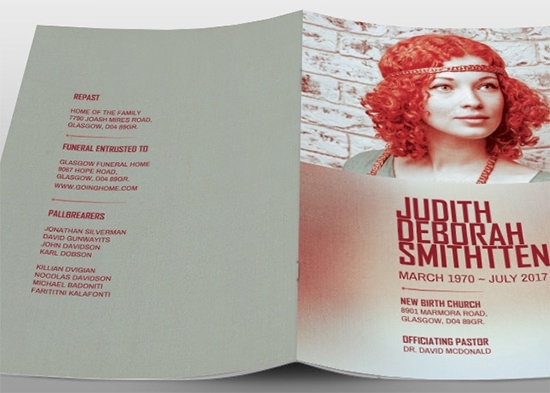 The 10 page spread design wonderfully set with a combination of different font types like BebasNeueBebasNeue, Georgia, Franklin Gothic Regular giving it classy look. 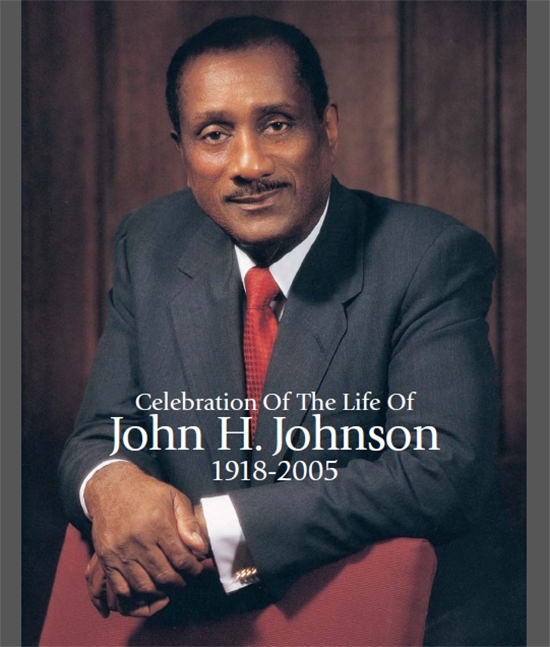 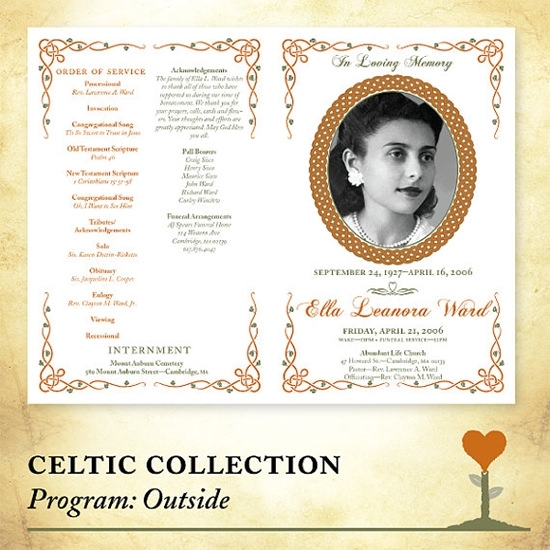 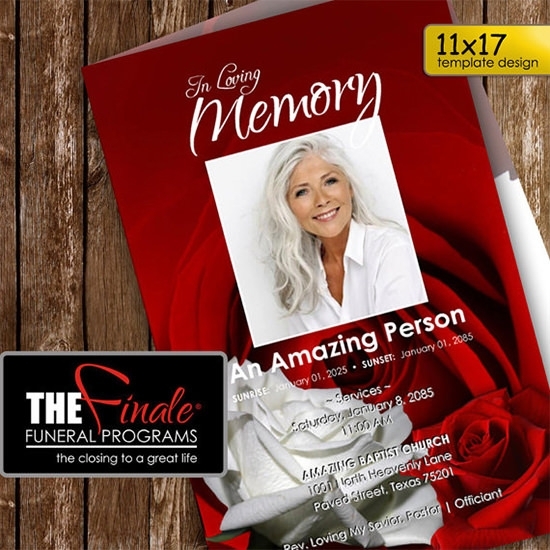 A funeral program can also be made memorable with the selection of such a template. 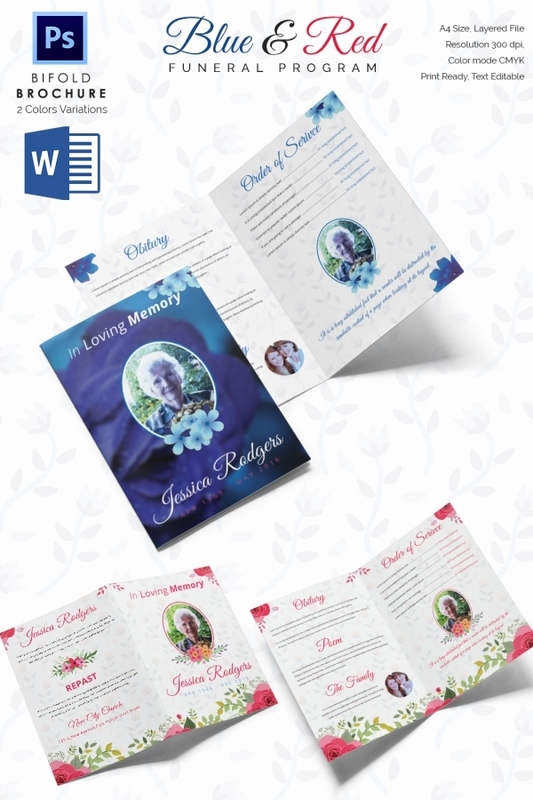 This template with watercolour floral designs and choice fully selected font type and colour can also be used for other occasions side by side to a funeral invitation. 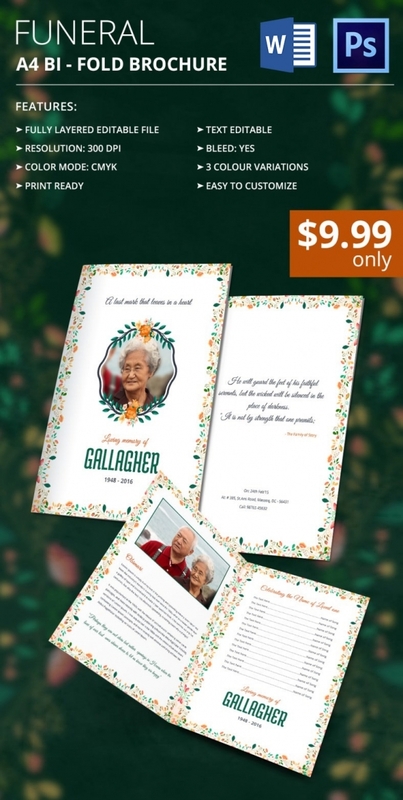 The template gives opportunity to edit with ample ease. 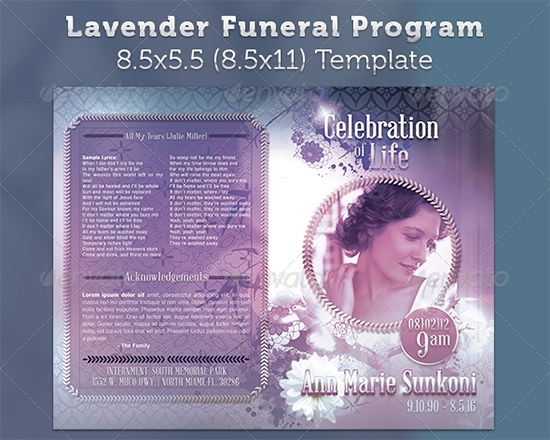 A blissful and completely vintage look of this template makes it very elegant and choice full selection for the purpose is this Lavender funeral template. 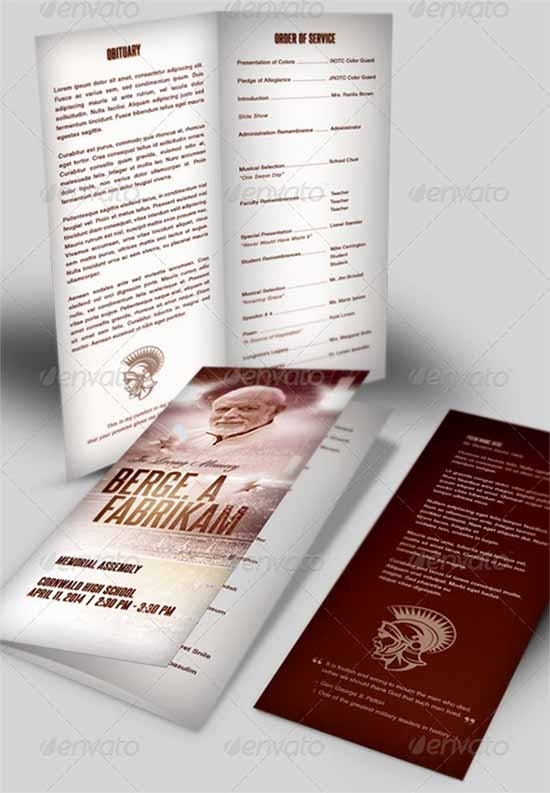 The beauty of purple focus on the photos and writings has made it more unique selection in the eyes of the event organizer. 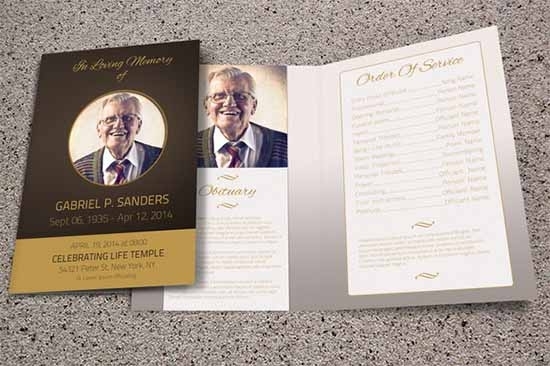 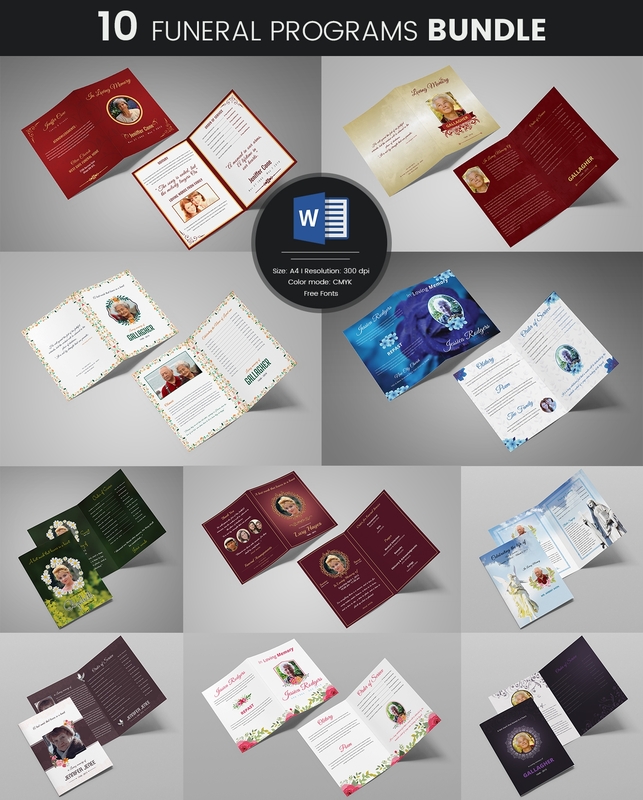 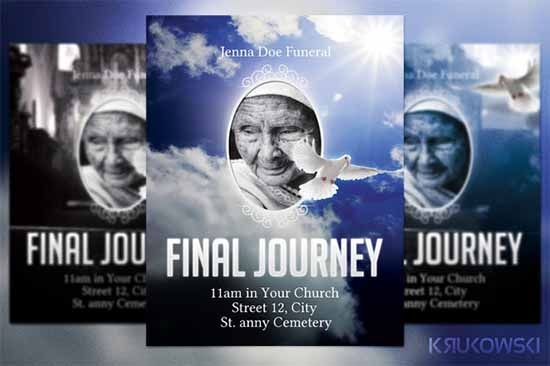 A funeral program is a memorable event which is made more memorable with such invitation card templates which you may preserve for your lifetime. 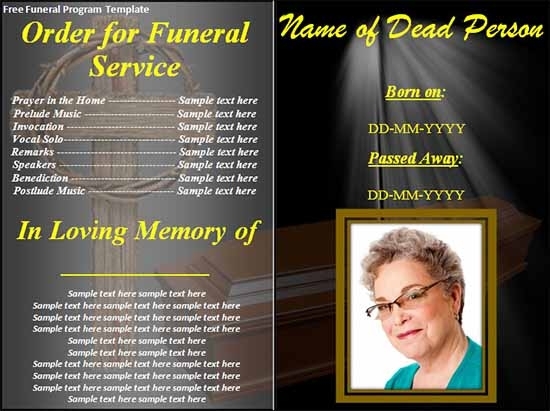 To ease the process of designing, downloading and printing, you can take help of ready to download and print templates available online nowadays.You may see Sample Death Notice Templates.